Our store includes not only customized products, but select clothing items from brand name house hold names like Champion, Izod, WeatherProof, Adidas and more. For those in rural areas or that are home bound, we offer a separate clothing store containing thousands of items that can be purchased quickly with expedited service and shipping (hard to find larger sizes are available). We offer a wide selection of popular Celtic and Medieval books, Jewelry, Gifts, Accessories (such as caps and designer bags), Mouse Pads, Coat of Arms Plaques, Surname History PDF files, Bumper Stickers and Coat of Arms Downloads. Background: Harris is a (patronymic or paternal) family name of British origins, and has many different spellings, none of which are the definitive, or 'correct', spelling. These spellings are largely regional which, when combined with the fact that most families only learned to spell in the 19th century, has led to different branches of the same families having different spellings of the name. Harris is the 24th-most common surname in the United Kingdom. Motto: Virtute et opera, By virtue and energy. Arms: Sa. three crescents, within a bordure ar. Crest: On the stump of a tree, raguly, lying fesseways, vert, a falcon, rising, erm. beaked and legged or. Harris means 'Son of Harry' or 'Harry's Son'. Harry is a pet form of Henry. Harry was the regular pronunciation of Henry during the Middle Ages, but is not often found in early documents as the Latin version of Henricus was used instead. Henry is the Anglicised version of Henri which was introduced into Britain by the Normans in 1066. Henri means "home ruler". Early records suggest that the surnames Harrison and Harris were used interchangeably by some families. It is likely that some modern Harrisons and Harrises are related. In most cases the Harris surname appears to be British in origin. 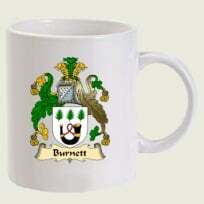 It was commonly adopted as a surname in south western England, the Midlands, Essex and Wales. As with other similar names it was adopted by most families in England between 1300 and 1400, and later in Wales and Scotland. Very few families used the name prior to 1300. Some other Harris families originated in Germany, France, etc., and adopted the name Harris upon immigration to Britain or America. Jewish refugees are known to have adopted the name upon arrival in Britain. Ellis Island is renowned for having Anglicised non-English names in America c1900. Name Variations: Harry, Harrie, Harrhy, Harris, Harries, Harriss, Harrison. English Surnames; C.M. Matthews - 1966. A Dictionary of English Surnames; P.H. Reaney - 1958.